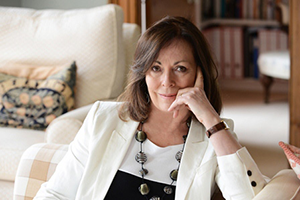 Rose Tremain. Photo © David Kirkham. The Gustav Sonata , winner of Hadassah Magazine’s Harold U. Ribalow Award as well as a National Jewish Book Award, is the first of Rose Tremain’s 14 novels to address a Jewish theme. Tremain, 74, who lives in Norfolk, England, often writes about social groups slightly out of the prevailing mainstream. Her Orange Prize-winner The Road Home concerns an Eastern European immigrant trying to make a life in England. The Gustav Sonata, set in Switzerland before, during and after World War II, traces the lifelong friendship between exuberant, ambitious (and Jewish) Anton and reserved, empathetic Gustav (who is not). While exploring the evolution of their relationship and the family circumstances that shape them, Tremain turns her delicately penetrating prose to themes of unspoken love, loyalty, music and the sacrifices made in pursuit of neutrality. What was your inspiration for The Gustav Sonata? A vast body of literature takes romantic love as its subject, but friendship, which can be very passionate and demanding in its own way, is less explored. I wanted to take the subject of male friendship and follow it throughout two lives, in which the protagonists view it differently—one, Gustav, understanding the true nature of it, and the other, Anton, denying it—and yet they are destined to arrive at the same crossroads. What appealed to you specifically about the setting? Switzerland is a country underexplored in world literature, possibly because writers believe it to be so clean and orderly that nothing very dramatic or life-changing ever happens there. I wanted to show that within the confines of a very ordinary small Swiss town, Matzlingen, big emotional dramas unfold across time. Why did you choose to write this novel in three movements, like a sonata? It came to me early on that the form of the sonata—exposition, development and recapitulation—was ideal for the book’s journey. In Part One, the sensibility of the child Gustav is laid out—his longings, joys and sufferings. We meet his adored and talented friend, the Jewish boy, Anton. We also meet Gustav’s mother, Emilie, who is harsh to her son, but we don’t know where this cruelty comes from. In the second part, therefore, we have to move back in time, to develop the backstory sufficiently to understand why Emilie is how she is and what role Jewish suffering played in this. In the third part, when Gustav and Anton are grown up, themes explored in Part One are recapitulated—Anton’s flawed genius as a pianist, Gustav’s yearning not to be parted from his friend—and brought to a resolution. As music plays an important role in this story, I was intrigued to follow a musical form in its construction. What are you trying to convey about the idea of neutrality? I think many people assume that Switzerland’s neutrality was easy, but in fact it was very complex. The Swiss government couldn’t know for certain that the Germans were not going to invade them, so they spent the years from 1938 on in a state of terror—and this affected their increasingly stern policy toward Jewish refugees. Only one character, Gustav’s father, finds the moral courage to go against this policy and save Jewish lives. My aim was to make plausible the connections between a country’s terrified clinging to its idea of neutrality and the strivings of individuals for ‘self-mastery’ in the face of emotional and political wounding. The book offers no complete answer to how moral neutrality—either public or private—is to be achieved, but it journeys through a landscape of feeling that explores both dilemmas. Joanne Sydney Lessner is the author of the novel Pandora’s Bottle, the acclaimed Isobel Spice mystery series, and writes reviews and features for Opera News and ZEALnyc.